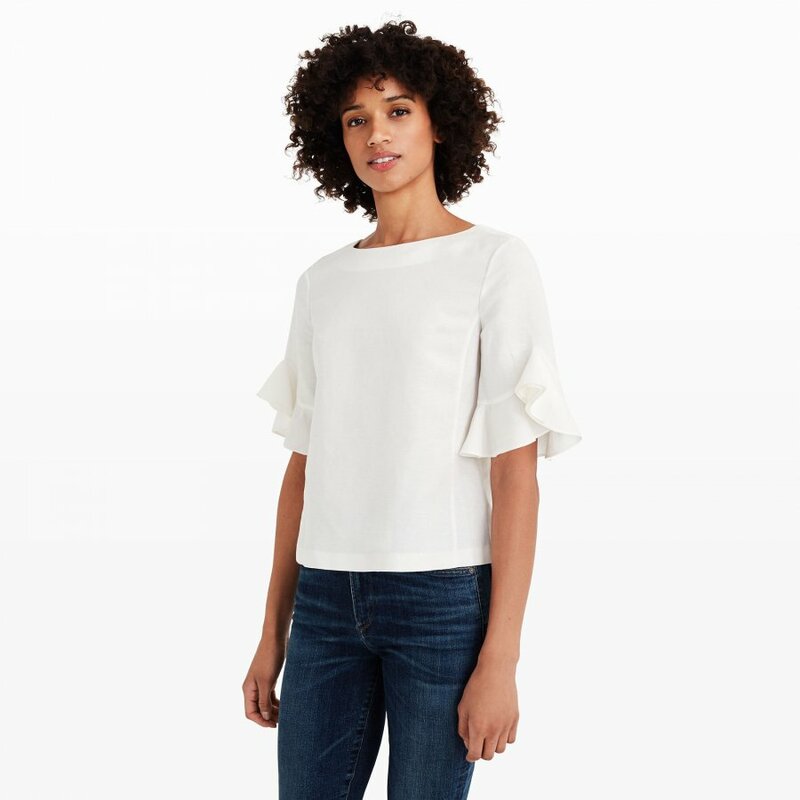 With sheer embroidered sleeves and a high ruffled collar, this crinkled, blousy top makes every day—or every night—a bit more romantic. Synonymous with luxurious South Florida living, designer Alexis Barbara has always been strongly influenced by the beach, Mediterranean travels, and an effortlessly chic lifestyle. 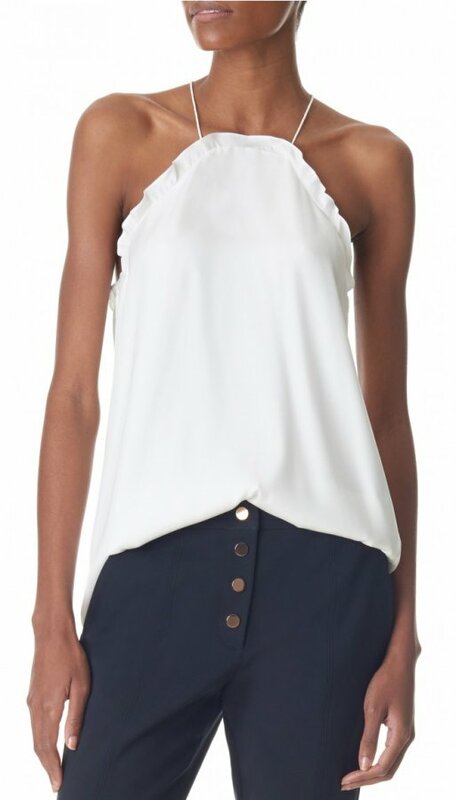 Alexis is a brand designed for the delicate, the sophisticated and the unquestionably fashion forward. 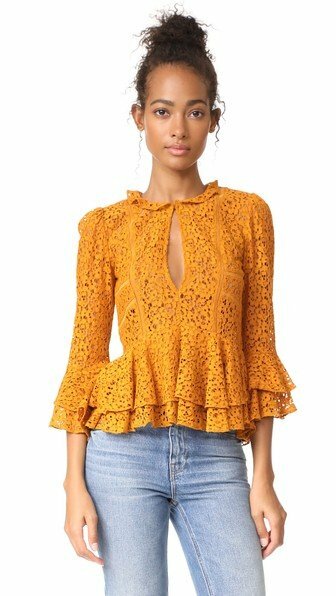 Calvin Rucker is a collaboration between Joie Rucker, founder of Joie and Caroline Calvin, former SVP of Global Design at Levi Strauss and Company. 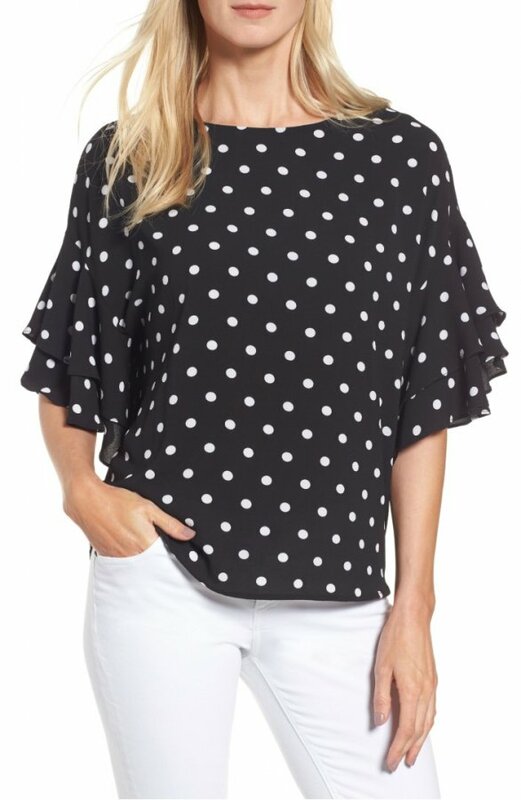 The two longtime friends and fashion innovators have come together to create a new collection that establishes a new fashion category that combines both casual and couture. Styles range from tailored jackets to Parisian lace t-shirts to the ultimate Vintage Boyfriend jean. 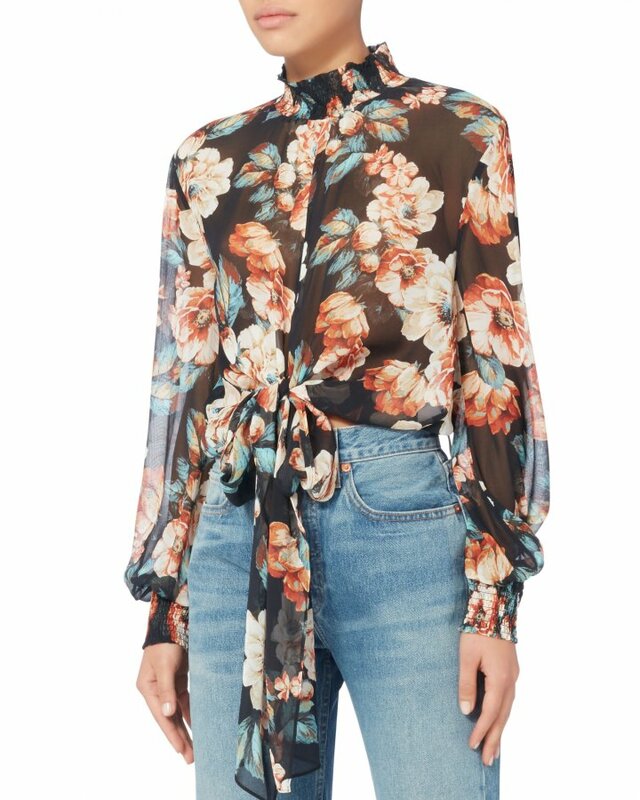 Floral-printed semi-sheer blouse features a smocked mock neck and cuffs, along with a tie front detail. Self-ties at tie front. Unlined. In multi. 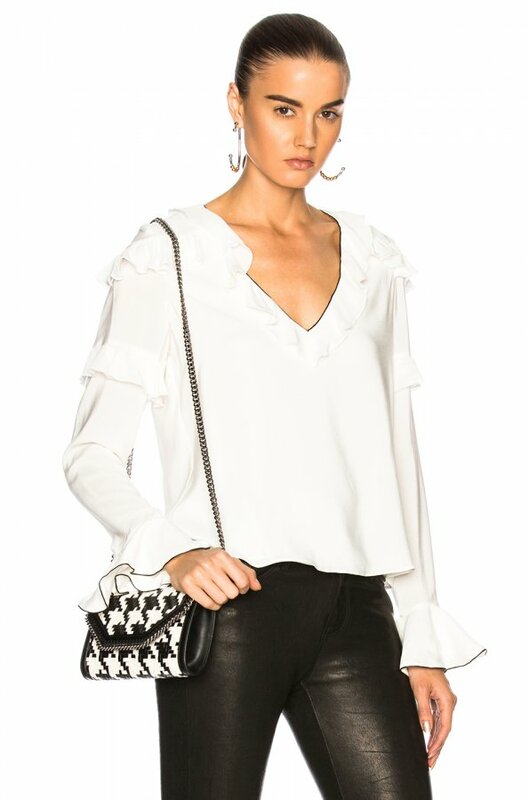 Fashion's current fling with frilly, feminine sleeves is perfectly expressed in the tiered-ruffle design of this textured crepe blouse in a choice of fresh prints.